In recent years there has been a strong interest of the world community to the Arctic region. The Arctic relates to strategic regions of the world with the enormous natural potential, including mineral, energy, forest and biological resources. Special hopes are associated with the development of Arctic hydrocarbon deposits. According to estimates by Geological Department of the United States, in the Arctic there are 90 billion barrels. oil of 47.3 trillion cubic meters of natural gas, 44 billion barrels. gas condensate, accounting for about 25 % of undiscovered hydrocarbon reserves in the world. 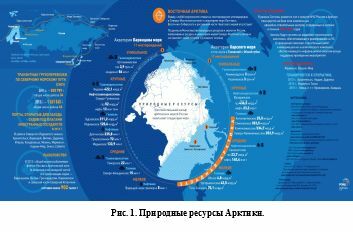 The Northern sea route (NSR) is an important transport artery not only for Russia but for other countries and regions of the world. Finally, the Arctic has an impact on the environment worldwide, including on the climate in remote regions and Global sea level. Modern geopolitical situation in the Arctic is complicated by the absence of an effective international security regimes, spores of five Arctic States (Russia, USA, Canada, Norway and Denmark) around separate sections of the continental shelf, as well as more active involvement in Arctic policy of extra-regional countries (leading countries of Western Europe, China, Japan, Republic of Korea, India) and a number of international organizations (NATO and EU). In new conditions Russia needs to take responsibility for the formation and optimization of the entire Arctic system of international relations, using its historical experience, authority, capacity and competitive advantages of the Arctic country. 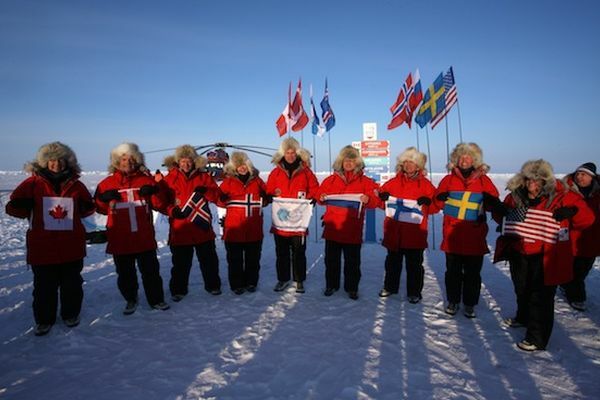 Recently we have developed four "circle" competition-cooperation in the Arctic. First, it is the "official" Arctic powers (Russia, USA, Canada, Denmark, Norway), which, having a coast on the Arctic ocean, have priority rights to develop resources in the Arctic. Secondly, it is the Arctic States that, not having direct access to the Arctic ocean, however, are in close proximity to the Arctic circle (Iceland) or have territories in the Arctic (Sweden and Finland). On this basis they were included in the Arctic Council and the Barents Euro - Arctic region (BEAC) – a leading sub-regional organization. Thirdly, there is the international organization of the Western countries (NATO, the European Union, the organization of the Nordic countries), which in recent years have been increasingly active in Arctic Affairs. Rapidly occurs the fourth "round" of competition around the Arctic, namely, non-Arctic States (especially East Asia), who also began to show interest in the development of the region. This inevitably leads to the aggravation of the economic and political differences since the legal regime of the Arctic in a number of cases does not allow us to draw the line even between "official" Arctic powers. Non-Arctic States do not have the necessary rights to develop the Arctic shelf, since they have no direct access to the Arctic ocean. Therefore, they are objectively interested in the revision of already existing legal norms and spheres of influence, "internationalization" of the region and, accordingly, take an active part in the ongoing discussions on the scientific and expert level, on which international relations must be formed in the Arctic – national (sectoral), regional or broadest international. Consider the strategies and positions of the main centres of power, competing for influence in the Arctic. scientific monitoring and research into local, regional and global levels. The issues related to climate change, the increasing importance of shipping in the Arctic, rising resource importance of the region in 1994 was not considered as relevant. The situation changed on 9 January 2009, when President George. Bush put his signature under the document that laid the foundations of the national policy of the United States pertaining to the Arctic region. This presidential Directive national security (NSPD-66/HSPD-25) was re-affirmed a broad and fundamental interests in the Arctic region with the global climate warming, the probability of activation of economic activity and the resource wealth of the region and its delicate ecological structure. Thus, there is a fundamental change in the format (head – to full document) U.S. relations to Arctic issues. A special place in the Directive is the issues related to national security. Among them: the objectives of missile defense and early warning; deployment of sea and air transport combat troops and equipment; so-called strategic deterrence; Maritime operations security; guaranteeing the freedom of navigation and air space use; the prevention of terrorist attacks, etc. Detailed kind of accents due to the fact that the Arctic still continues to be an extremely important military-strategic importance not only for US but for all countries facing the Arctic ocean (SLO). Anticipated climatic changes, the opening of new shipping routes would only increase the strategic military importance of the region. Freed of ice, the Arctic will become suitable for the greater number of military operations and maneuvers. In this regard, according to some U.S. experts, the Arctic countries may face the need to substantially revise their military doctrines, as the increased military activities will require the introduction of new defense systems and complexes. Also projected is the formulation of new tasks for the naval forces of the United States in the Arctic: the operations rule of law; guaranteeing freedom of navigation; protection of natural resources; support to scientific research; provision of opportunities of Maritime activities in the Arctic. European leaders and NATO commanders are also preparing yourself for the fact that climate change will cause a build-up of military activity in the region. Further, the Presidential Directive stated that the United States must "provide a more influential presence" in the Arctic region "with the purpose of protecting their interests and distribution of marine power". The caveat regarding the fact that all state institutions and departments involved in the implementation of Maritime policy, should continue its activities in the Arctic. First and foremost, on the implementation of the policy of freedom of navigation. It is emphasized that "freedom of the seas is a national priority". In this regard, it is noted that the Northwest passage (NWP) is a Strait used for international navigation, and the Northern sea route (NSR) includes a "Straits used for international navigation; the regime of transit passage applies to passage through those Straits". However, these statements have significant potential for conflict. As you know, Canada takes a different view, refusing to recognize the FFP status of international waters and the corresponding regime of transit passage. Insisting that it is territorial waters of the country, it defends its right to regulate (restrict) the passage through this sea route. This position is largely due to the prospect of becoming SZP competitor to other routes from Europe to Asia: by reducing the ice cover of the Arctic NWP may be open to shipping. The way it is 4,000 km shorter than through the Panama canal. According to the NWS will be able to receive supertankers, which the Panama canal close and are forced to go around South America to get from the Pacific to the Atlantic. Russia views the NSR as a route within their internal waters, i.e. 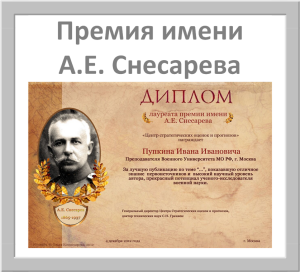 under the sovereignty of the Russian state. This allows Russia to assert their rights to control the navigation routes on SMEs, including through compulsory pilotage and icebreaker assistance. Some countries actively oppose this requirement. The reason for that is not only ambiguous (and often incorrect) interpretation of international legal norms on this issue, but inertia and the desire that appeared after the end of the cold war, and completely to open the Russian North, is entirely enclosed in the Soviet years, for international trade and economic activities. In this regard, it is worth Recalling the speech of Mikhail Gorbachev in Murmansk in 1987, in which he made a number of extraordinary suggestions to give Northern Europe a nuclear free zone status; to significantly reduce naval activities; jointly develop Arctic resources, etc. Gorbachev has also taken the initiative of opening the NSR to foreign vessels in "our provision of icebreaking". Economic and political weakness of Russia in the 1990s has led to the fact that many Northern European States began aggressively to promote initiatives to transform the Northern sea route in international commercial transit route. This position still exists today. In the adopted 20 November 2008 European Commission report "European Union and the Arctic region" emphasizes the need to consistently defend the principle of "freedom of navigation" as well as "legitimate passage for opening new routes." Emphasizes the importance of countering the introduction of other Arctic States practice of charging election payment services regulations in relation to merchant vessels of third countries. Not conducive to effective dialogue in relation to SMP and forcing the "Russian threat". 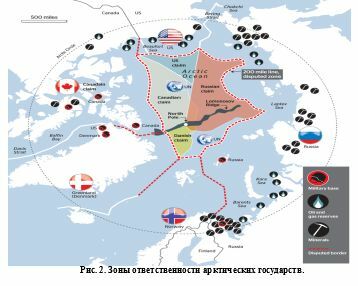 In particular, in the report "Tension in the field of Arctic security caused by climate" says that the Russian part of the Arctic will be free of ice much earlier than its American part. It will, in the opinion of the authors of the document, a certain win of Russia in spreading its influence in the region. Thus, the Russian goods will be able to get to foreign ports via the NSR, and then to enter the global market. The carriage of goods and resources through the SMP will cost about 40% cheaper than other well-known routes that will lead to the redistribution of more than 80% of the existing traffic in the Arctic. Significantly reduced the international importance of the Strait of Malacca, and the reduction of traffic through the Suez canal may have a negative impact on the economic situation in Central and South America. Emerging political ambiguity and the versatility of the legal regime of the Arctic leads to the fact that some political forces are with the idea that national States are not able on a unilateral basis "right" to manage "common resources of all mankind." It is assumed that to achieve sustainable development, effectiveness and equity in the distribution of needed transition to another, supranational level of governance. The speech in this case goes about the concept of "internationalization of the Arctic". The existing point of view comes from the fact that the development of effective management of rapidly changing Arctic region is possible only by recognizing the Central Arctic as an international space. Thus it is assumed that the region outside the EEZ of the Arctic States, will be placed under international control. Therefore, we are talking about the establishment of the international seabed area with the status of "common heritage of mankind" beyond the 200-mile EEZs of the Arctic countries, i.e. without the possibility allowed by the 1982 Convention UGCS extension up to 350 nautical miles. Unofficially a supporter of this approach are and the United States who on behalf of non-governmental organizations have tried to secure for itself the right to so-called "common area" LAYER outside the agreed EEZ of Russia, Norway, Denmark and Canada. In 2006 from a number of American companies to address the UN General Assembly, International body of the UN seabed, governments of the Arctic countries was directed to the lawsuit with a claim to the monopoly and exclusive rights for exploration, development and production of oil and gas resources of the seabed and subsoil thereof contained within the "General area" LAYER. The need for this was motivated by the fact that the Consortium already has developed a "unique plan" for the development of these resources, which will not only preserve the fragile Arctic environment, but will also assist with the timely delivery of energy resources to world markets and thus will contribute to reducing the differences between the various countries and "contribute to the strengthening of peace in the world". Special emphasis, the authors claim was made on the need to move from national to supranational approach in the development of Arctic resources. The idea was that the development of Arctic resources by the governments of nation-States represents a danger for the ecology of the region, as it can be unsafe ways. There have been accusations of Arctic States in that they are conflicting with each other regarding the definition of Maritime boundaries greatly complicate the solution of the problem "of global energy scarcity." Due to the fact that the Arctic States are not actively engaged in the development of Arctic resources and thus increase the energy instability and the threat of energy wars, it was concluded that "the governments of the Arctic region have no moral rights on an exclusive development of any part of the international district, Lipetsk region". The concept of "internationalization" is directly in line with US policy to counter transition under the national jurisdiction of Russia offshore spaces LAYER by expanding UGX. In response to the Russian proposal, the United States sent the UN a formal note with the geological study, according to which the Lomonosov ridge is of volcanic origin and is not part of the continental margin. With the same purpose, the United States conducted Oceanographic expedition under the leadership of the National oceanic and atmospheric administration the study of the seabed in the area of the Chukchi uplift, close to the Mendeleev ridge, and the Northern part of the Beaufort sea to prove that the Alaskan continental shelf stretches for 600 miles from the coast. This evidence base may also require the USA in the event of their decision to accede to the 1982 Convention, the Negative attitude of the American administration to the idea of an Arctic Treaty, mainly due to considerations of military - strategic nature. The announcement of the Arctic a nuclear-free zone or a significant limitation of the security interests of the Arctic States they are not profitable. It is for this reason suggestions are made as to the vesting of the Arctic Council additional authority in the area of analysis of security issues. Thus, in particular, experts of the us - European project "Arctic Transform" make demands for significant reform of the Arctic Council and the International Maritime organization primarily in the business of giving them greater authority. In any case, management of the Arctic the US is trying in advance to secure a pre-emptive right for the development and exploitation of the Arctic mineral and energy resources. Not accidentally, in the above-mentioned request of the American consortium as the Presidential Directive is the same emphasis on "environmentally safe methods" development of polar resources, and the necessity of expanding the cooperative arrangements with States in the region. Thus, the United States, on the one hand, by introducing stringent environmental standards are trying to focus of the political authority to control the development of Arctic resources in their hands. On the other hand, knowing that explored to date, the mineral and energy resources in the area of American jurisdiction are very modest in size, and the extension VGX is impossible without adherence to the UN Convention of 1982, the United States indirectly show interest to ensure the participation of their oil firms in foreign development projects to the offshore oil and gas. This position is supported by the recommendations given by the experts of the administration of President Barack Obama. From the point of view of their authors, before US stands the task of reconciling, on the one hand, the protection of the marine environment in the area of its national jurisdiction, and on the other in the formulation of international rules, standards and systems for the protection of the marine environment in the conditions of active economic activities in the Arctic region. We are talking about the need to introduce appropriate, science-based "management regime" of the Arctic. To do this, to develop "integrated management plans in the Arctic area within the us EEZ", and "to initiate multilateral negotiations, which should lead to the development of an integrated, ecosystem approach to the management of new and growing activities throughout the Arctic, both within existing and new international structures." Not surprisingly, for the Alliance, searching for identity in a new international environment, the issues related to resource extraction and territorial claims in the Arctic, have become strategic priorities in the region. Their tasks the Alliance sees in the integration of information and intelligence, the development of international and regional cooperation, infrastructure protection, and enhancing the role of the unit as a forum for the exchange of opinions and information, including with Russia on the territorial problem. Summing up this review, it should be stated that the coherence and coincidence of positions on many issues in the Arctic remains extremely low. Practical actions of Russia on the delimitation of the outer limits of the continental shelf in the Arctic ocean the Arctic cause other States to retaliate. This is reflected, on the one hand, primarily in the initiatives of a civil nature. Among them – a more active research and polar expeditions. Canadian and Danish scientists to conduct research, hoping to obtain evidence that the North American continental platform that includes the Northern canadian Islands and Greenland, stretches far into the centre of SLO. This will help to prove that continuation of the continental platform are underwater Lomonosov ridge and parallel to it the alpha ridge, rolling in the East to the Mendeleev ridge. The United States and Canada are conducting a joint expedition to study the continental shelf in the Arctic. The object of study is the continental shelf and the seabed North of Alaska to alpha ridge-Mendeleev and East to the canadian Arctic archipelago. The purpose of the research is the confirmation UGCS United States and Canada in the Arctic ocean, and gathering information about the regions where the United States and Canada do not agree with the established Maritime borders. Renewed American SCICEX program, which allows scientists to military use of submarines to gather information in areas of the Arctic. As a result, collected data can not only reinforce the position of Denmark and Canada in the negotiations at the UN on the extension of their rights to the shelf, but also significantly affect the positive re-consideration of the Russian submission. Activation of civil activities takes place not only in the field of scientific research. Various kinds of conceptual and doctrinal documents with an enviable rate accepted in the United States, Norway, and Russia. Connect to this process and non-Arctic countries, especially Finland. They have established an official group to support and coordinate activities in the Arctic, in 2010 adopted the state Arctic strategy. Opened in Rovaniemi Arctic information centre of the EU. On the other hand, enhanced the process of militarization of the region. The Scandinavian countries are discussing the possibility of forming a separate military Alliance to ensure security in the Arctic region. Is an increasing number of military exercises: the American "Northern Edge" and "Ice Exercise"; the canadian "Operation Nanook"; NATO's "Cold Response" off the coast of Norway, which became the main initiator of the increased activity of NATO in the region and was the first country shifted its military command in the Arctic circle. Denmark in 2010 announced plans to create an Arctic command, an Arctic group of forces and military bases in the North of Greenland. The Russian Federation also does not remain aloof from these trends. In the "Fundamentals of state policy of the Russian Federation in the Arctic for the period till 2020 and further prospect" declared about necessity of creation of groupings of troops (forces) General purpose in the Arctic zone "capable of providing military security in different military-political situation". However, along with the intensification of military activities in the Arctic, the Russian military experts suggest, for example, if the promising development of the Treaty on collective security in Europe to include and the Arctic zone to limit here military activity. In the result, we can predict that the anticipated increase in economic activity in the region (revitalization of the fisheries, the development of energy resources) caused by the predicted climate warming may lead, unfortunately, to the emergence of new reasons for conflicts. Conflict in the Arctic, even in comparison with the cold war period, gradually increases and moves from the strategic military plane in "economic and natural resources". international cooperation for the development of natural resources in the Arctic and use of the expanding transport capabilities in the region. This guided some small and medium-sized Arctic countries (Iceland, Finland, Sweden), part of the business (expecting to advance its technologies and to profit from participating in the exploitation of the Arctic resources), the number of non-governmental organizations advocating for solutions to environmental, socio-economic and cultural problems of the region. the aggravation of international rivalry for control of Arctic resources. This line lead the United States, Canada, Denmark (partly), Norway. In the same direction gradually moving NATO. Part of the energy producing and transportation companies, who fear that they will be pushed back from Arctic exploration, also holds a similar conflict paradigm. the combination of the principles of cooperation and confrontation, depending on the specific situation and interests of a regional player. A similar position is taken by the EU and individual States – China, Japan, South Korea. to establish a dialogue with Arctic countries outside the EU, on the question of the effects of global climate change for international security. A number of experts from Norway, USA and Canada, i.e. countries that are not members of the EU, has estimated this document as fairly determined attempt of the EU to designate the claim to participate in the Arctic Affairs. It was also noted that in many respects the driving force that pushed the EU towards a more aggressive policy in the Arctic was three Nordic member countries of the EU – Denmark, Sweden and Finland who feel excluded from Arctic Affairs, although they have significant interests in the region. development of a mechanism of multilateral cooperation in the Arctic. The communiqué emphasizes the need for the development of international cooperation in the Arctic region. "Expansion of EU's contribution to Arctic cooperation will open new perspectives in our relations with the Arctic countries. The EU is ready to work with them for stability, multilateral governance through the existing structures and to maintain the balance between the priority goal of preserving nature and the need for development of natural resources, including hydrocarbons," – said in the press release of the European Commission on the occasion of the adoption of the communiqué. The document notes the need for broad dialogue on questions of Arctic course on the basis of the UN Convention on the law of the sea, as well as the key role of the Northern dimension and the Arctic Council (in which active participation is accepted by Russia) for collaboration in the Arctic. However, according to experts from the Norwegian Secretariat of the BEAC, the document is hardly mentioned Russia, the largest neighbour of the EU in the Arctic. Meanwhile, in their opinion, for Europe and the EU is extremely important to take into account Russia chooses its Arctic priorities. This will benefit both the EU and Russia. Hardly mentioned, and the BEAC, which has become a platform for regional cross-border cooperation in the European North of five Russian regions (with the participation of the Federal level) with neighbouring Norway, Finland and Sweden. Based on the above it can be concluded that in the foreseeable future, the EU will step up efforts to strengthen its presence in the region and will more vigorously defend its rights in the Arctic. However, unlike NATO, the US and Norway, the EU will do this without any significant emphasis on military force, and will give priority to diplomatic and economic methods. So, the Arctic is increasingly attracting attention as a key regional players and major powers of the world. European countries understand that the development of appropriate Arctic strategy requires the development and implementation of the whole complex of measures of political, legal, scientific, social, economic, and military nature. Acquired special significance scientific research in the Arctic, which will be based on the Arctic policy of European countries. This is dictated not only by the necessity of collecting data to support Arctic borders, the lack of necessary technology, but also the ambiguity of estimates of future climate changes and their consequences. In the organization of the Arctic policy of the European countries focus not only on state programs, but also attract private capital, the independent financial institutions and foreign investment. Actively use resources of the neighboring countries with the necessary technologies and capabilities. The activities of European countries in the region focus on the production and transportation of energy. It is about creating conditions for the harmonious development of the region and the people living in it. Important means of achieving this goal is the intensive development of economic, social and cultural infrastructure in the region. In Europe's maturing understanding of the success in socio-economic development of the Arctic will not have the resources for real cooperation between States, taking part in the development of the region. According to the modern international legal status of the Arctic, there is no document that would allow her to share only the countries bordering the Arctic ocean. You need to be aware that theoretically any country (China, India, Australia, Japan) can claim that the Arctic should be shared.70 So the Arctic will remain a "draw", and its division is likely to be based on the fact that real economic (and then military) presence in the region. Proceeding from these considerations, to evaluate the activity of China, and not only on Svalbard. European countries intend to intensify work on international - legal support of their positions on the topic of the Arctic area. In international political terms, the Arctic has accumulated a lot of problems related to the environment, unresolved territorial disputes, organization of joint economic activities of States and effective their cooperation, often the plight of indigenous peoples. Unfortunately, this region is more subject to competition than cooperation between the various international actors. Parties are often inclined to solve the accumulated problems of power, not a political-legal way. In terms of increased geopolitical status of the Arctic is clearly a planned dangerous trend towards the remilitarization of the region. Russia and other States and international organizations now is the time to reflect on the search for mutually acceptable solutions to prevent further escalation of negative trends. It appears that the paradigm based on international cooperation and mutual consideration of interests is preferable to further increase confrontation in the region, whose value will increase in the foreseeable future. It is hoped that the position of Europe will be all the more inclined to this paradigm. Arikainen A. I., Kosov O. A. Problems of military security in the Arctic. – M.: Institute of System studies, 1990. Report of the Advisory military Board of the research center CNA Corporation, "National Security and the Threat of Climate Change". A. Kolodkin Ice age // the Russian newspaper. 2006. 31 Jan. 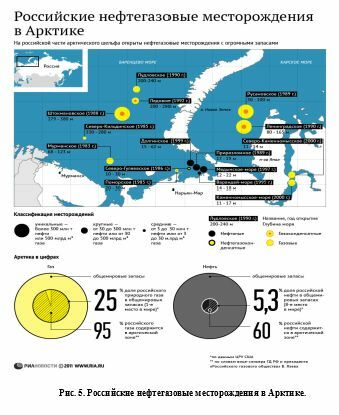 The Nordic countries raised the issue of changing the status of the Northern sea route // the Russian newspaper. 2006. June 28. Young, O. International Governance. Protecting the Environment in a Stateless Society. N. Y.: Cornell University Press, 1994. Berkman P. A., O. R. Young, Governance and Environmental Change in the Arctic Ocean // Science. 2009. Vol. 324. No. 5925. Lukin Y. F. the Arctic today: for Russia and the world.